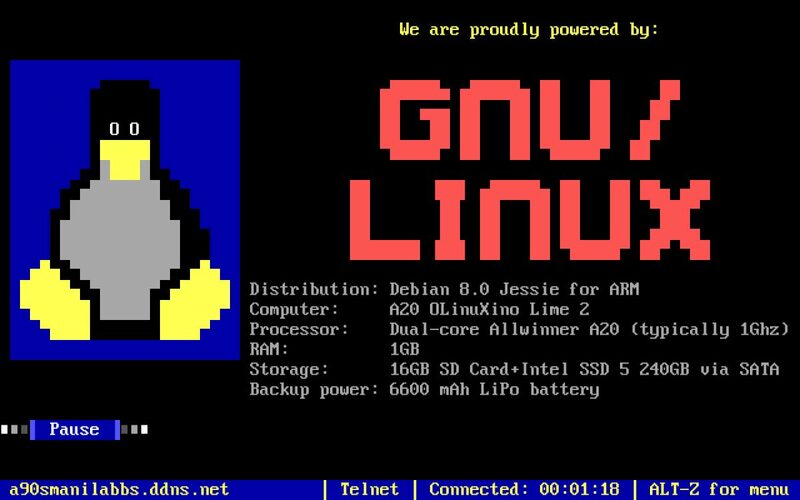 The System Operator’s primary motivation in running this BBS is to have fun in retro computing. He exerted effort to make this BBS give you a mid-1990’s BBSing experience. FsxNet and Fidonet echo mail areas are available here. Popular door games such as (but not limited to) LORD, LORD2, Global War, etc., can be played here. 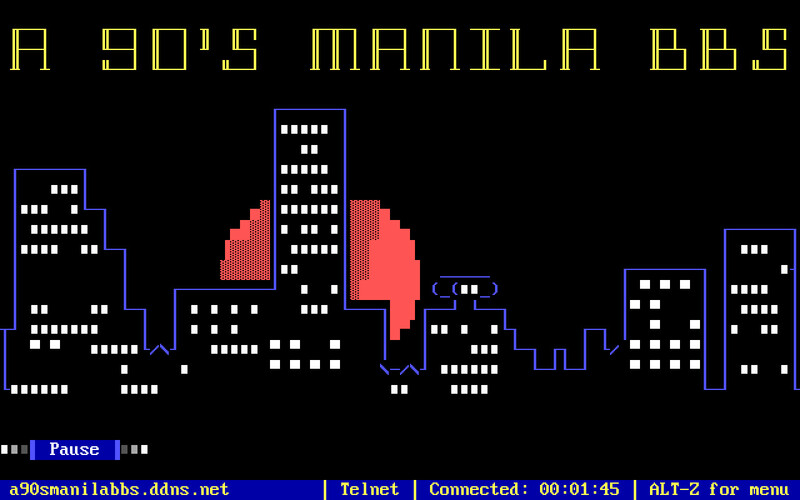 Connect to A 90’s Manila BBS Now!